Aging is natural. Abuse is not. The mornings were still a bit cold in her house, even though spring was right around the corner. As she sat in her chair to enjoy a cup of tea and read the newspaper – the same routine she has enjoyed for the past 25 years – her phone rang. She was surprised when the caller ID read the incoming call as a Washington D.C. number. The caller went on to explain that for only $2,000 she would be protected from online scammers and her information would be safe. The service was only available for a short period of time and was an easy 3-step process that she could do over the phone. She pulled out her bank information and was ready to pay for this seemingly necessary protection when she thought to call the Pierce County Aging and Disability Resource Center (ADRC) to see if this was a service she could pay for locally. 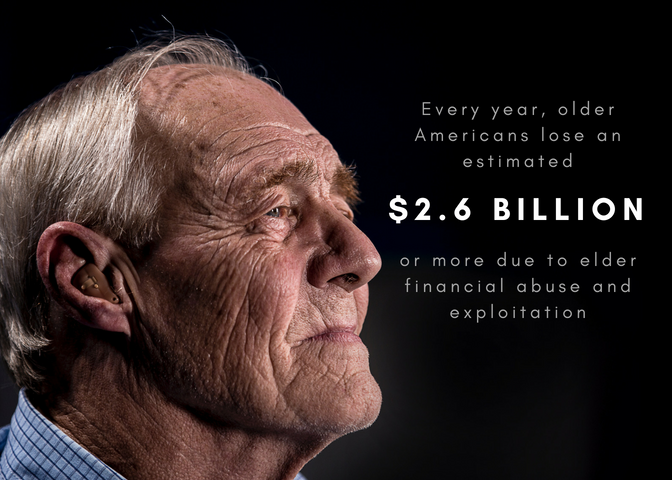 Each year in America, an estimated 5 million older adults are abused, neglected, or exploited. This is a global problem, with the United Nations estimating that 1-10% of older adults are victims of elder abuse each year. With such staggering numbers, what can we do here at home to solve this problem? On Friday, June 15th, Pierce County will be joining millions all over the globe to recognize World Elder Abuse Awareness Day. 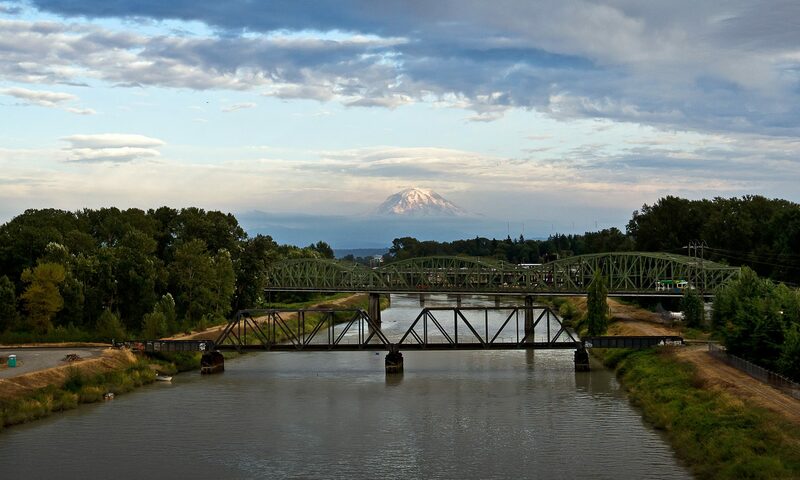 The ADRC is an integral part of the Aging and Disability Resources division of Pierce County Human Services, fielding over 1,000 calls each month. Most of the calls are seniors looking for financial assistance, housing support, or in-home care services, but many of them are people calling to receive information on elder abuse. Financial exploitation of seniors has skyrocketed over the past decade, but unfortunately, it isn’t the only type of abuse that elderly citizens suffer. Elder abuse can be the result of intentional or unintentional neglect, and may take the form of physical, emotional, or sexual abuse. Unfortunately, it occurs in every demographic and can happen to anyone – a family member, a neighbor, even you. There is stigma attached to elder abuse that keeps many victims from coming forward, while others are not capable of reporting crimes due to physical or mental ailments. As older adults become more physically frail, they are less able to take care of themselves, stand up to bullying, or fight back if attacked. As a community, we need to look out for one another. If you see something, say something. Don’t be afraid to ask questions or check on someone’s wellbeing. Pierce County staff is willing and able to help you. Please join us in our effort to raise awareness of this global social issue and contact the ADRC at 253-798-4600 or 1-800-562-0332 if you or someone you know may be a victim of elder abuse. You can also call Washington State Department of Social & Health Services (DSHS) ENDHARM toll free at 1-866-ENDHARM (1-866-363-4276) to report vulnerable adult and child abuse and neglect. Learn more about the warning signs and prevention of elder abuse, as well as how to protect yourself or someone you know from financial exploitation. To contact Adult Protective Services in Pierce County for reports on allegations of abuse, abandonment, neglect, self-neglect and financial exploitation of vulnerable adults living in the community and in facilities, fill out the online form here or call 1-877-734-6277. You can also call 9-1-1. To file an elder fraud complaint and learn more about senior fraud, click here. Elder Abuse takes many forms – physical abuse, emotional abuse, neglect, financial abuse and sexual abuse, making it multi-layered, complex and insidious. Many older adults are abused in their own homes, in relatives’ homes and even in facilities responsible for their care. It is important that if there is suspicion that an elderly person is at risk of neglect, physical abuse, undue influence or being preyed upon financially, that it is reported immediately. If you see it, report it. Next PostNext You care for them. We care for you.